Open source software is everywhere, and it’s also a great philosophy to live by. However, there’s a perceived struggle that using just open source software is impossible, that there are some tasks for which open source software either doesn’t exist or inadequately does the job. I’m not here to say that this perception is flat-out wrong, but you might actually be surprised with what you can actually get done with open source software. In fact, chances are pretty high that you can get by with just open source software. Before we start, we have to ask the question, “Why bother?” There are two main groups of reasons why someone who want to use open source software: technical advantages and philosophy. Open source is beneficial by the definition of the term — anyone can download and inspect the “open” code themselves. This means that people can look it over and check for bugs, security issues, or even backdoors. It also makes it easier for anyone in the world to contribute to open source software projects, as anyone can download the code and then start adding in their own. If a project has enough support, it can develop quite quickly and its code is trusted. People are also free to make their own open source programs to tackle similar tasks, which also increases choice for users so that they can pick the best tool for the job. People who use open source software for philosophical reasons usually believe that software should be freely available for anyone to use. Besides the technical advantages, their arguments suggest that software code is much like math; math cannot be copyrighted or patented, so why can software be? Most people usually use open source software for the technical advantages, flexibility, and choice. A major step to using only open source software is by installing a flavor of Linux The Best Linux Operating Distros The Best Linux Operating Distros The best Linux distros are hard to find. Unless you read our list of the best Linux operating systems for gaming, Raspberry Pi, and more. Read More on your computer. Linux is an open source* operating system kernel, and there are various distributions out there that use the kernel as their base. 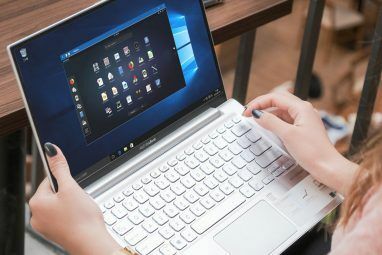 Although you can try to install commercial software onto Linux, there aren’t many software titles available and it’s usually much easier to use open source alternatives. *Although the vast majority of it is open source, the Linux kernel has closed-source binary blobs that provide functionality for certain hardware, such as WiFi cards. If you want a purely open source kernel, some distributions such as Trisquel provide this modified version of the Linux kernel, called linux-libre. 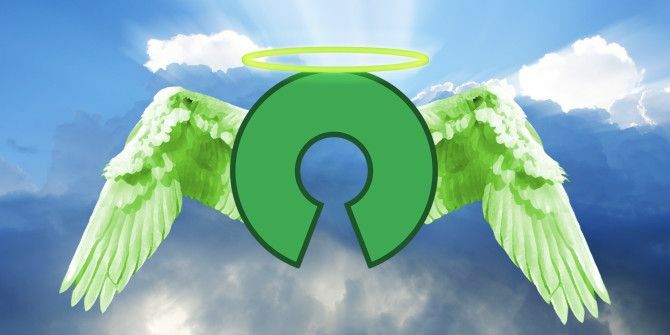 Now that we have the operating system covered, let’s take a look at open source software that’s available for various needs. In this article, we’ll be focusing on cross-platform solutions and excluding Linux-specific applications. Firefox and Chromium (the project on which Chrome is based) are excellent open source browsers that can take care of your web needs. Thunderbird is a capable open source email client if you prefer to use one. If you are still into instant messaging, Pidgin is probably the best IM client Combine All Your IM Accounts In One Application With Pidgin [Windows & Linux] Combine All Your IM Accounts In One Application With Pidgin [Windows & Linux] Pidgin is a free instant-messaging client that combines all your IM accounts in one simple application. Instead of running several different IM clients that display ads and eat up memory, just use Pidgin. All your... Read More there is. GIMP is the closest open source solution to Photoshop GIMP: A Quick Walkthrough Of Everyone's Favorite Open Source Image Editor GIMP: A Quick Walkthrough Of Everyone's Favorite Open Source Image Editor Read More , and it can support all but the most advanced functions (although plugins are still being made to expand functionality). Audacity is a great audio recording and processing application that several podcasters use reliably and effectively. Finally, Blender (yes, the application better known for creating 3D graphics Blender - A Powerful Free Cross-Platform 3D Content Creation Suite Blender - A Powerful Free Cross-Platform 3D Content Creation Suite Completely free, and a tool that has dozens of applications allowing you to try your hand at the challenging world of computer-generated artwork. Did I mention it's free? Read More ) has become quite a capable video editor that may be daunting to use at first but will be a powerful companion once you learn the ropes. For a fully open source office suite, LibreOffice is currently the most capable choice Is the New LibreOffice a Better Microsoft Office Alternative? Is the New LibreOffice a Better Microsoft Office Alternative? LibreOffice, a long-time contender of Microsoft Office, just received a makeover and important updates. After being held back by niggling bugs over the years, has LibreOffice finally found the winning formula? Read More you can make as it has loads of features and great compatibility with Microsoft Office formats. If you’re consuming any type of multimedia, VLC is the only application you need to play them all The VLC Media Player - Does it Really Play Everything? The VLC Media Player - Does it Really Play Everything? Read More . Although it may not be the sleekest-looking media player out there, it’s among the most capable and reliable available. And best of all, it’s free and open source. 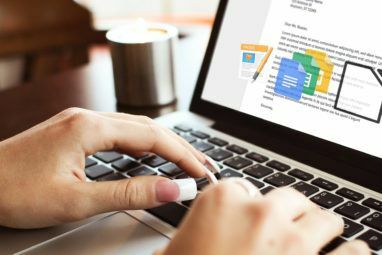 Finally, for note-taking you can either use a desktop application such as Tomboy or simply use a service such as Evernote and use your browser to interact with it. It has tons of features Stay Organized & Remember Everything With Tomboy Notes [Linux] Stay Organized & Remember Everything With Tomboy Notes [Linux] If the title made you think of Evernote, I don't blame you. It's a great tool which is capable of a lot, plus it syncs with whatever devices it can run on. However, Evernote is... Read More that can make your memory better while using your computer. Gaming is the one area that is probably lacking the most when it comes to open source. While open source games do exist, none of the titles that you’ll regularly hear about are open source. Therefore, if you want to stick with just open source for gaming, you’ll have to make some sacrifices in terms of game selection. There are good games out there that are definitely entertaining, but don’t expect to (natively) play Call of Duty or NBA 2K15 or any other popular game. And gaming will always be a gray area. Even Richard Stallman, one of the leaders of the free software movement who would probably yell at me for not saying “GNU/Linux” rather than just “Linux”, stated that while he thinks the code in games should be open source, the assets (artwork, music, and such) can be copyrighted. If you make an exception for gaming, Steam does have a client available on Linux How to Install Steam and Start Gaming on Linux How to Install Steam and Start Gaming on Linux Installing Steam on Linux computers is straightforward, and the result is usually the same seamless gaming experience you had on Windows. Read More with an ever-growing library of Linux-compatible games. Are they open source? No. But do they run on Linux, an open source operating system? A lot of them now do. Is there any software alternative that might be missing? Possibly, but for a good number of people, this is all they need to do on their computers. Of course there are still other open source solutions that are out there for more specific tasks, but they’re not as widely known specifically because they’re made for non-ordinary tasks. However, the above list should apply to the general masses. Of course, you can go to the list of Best Linux Software The Best Linux Software and Apps The Best Linux Software and Apps Whether you're new to Linux or you're a seasoned user, here are the best Linux software and apps you should be using today. Read More to see even more open source software that could potentially be cross-platform. What other software do you think is missing, or categories of software that you feel like a lot of people use? Let us know in the comments! Explore more about: GIMP, LibreOffice, Linux, Open Source, VLC Media Player. I just find it "sad" to see you could not illustrate your examples by real screenshots from your workstation. That would be really better to see a real gnu/linux fully replacing proprietary OS. Good article, though more comprehensive comparisons between the open-source software vs closed software would've been really good. Just to nitpick here, but what about the BIOS? I'm not aware of any motherboards that come with an open source BIOS by default, and while there are open source projects like coreboot, they don't support many boards... and it's hard to run an open source OS without being able to boot. 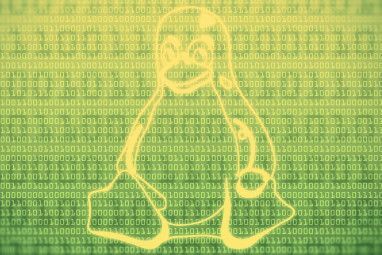 Also, as well as Trisquel, there's a list of entirely open source Linux distributions at https://www.gnu.org/distros/free-distros.html (they also have a list of why many popular distros don't count at https://www.gnu.org/distros/common-distros.html ). What about HDD/SSD firmware etc. Heck x86 is not an open source ISA.